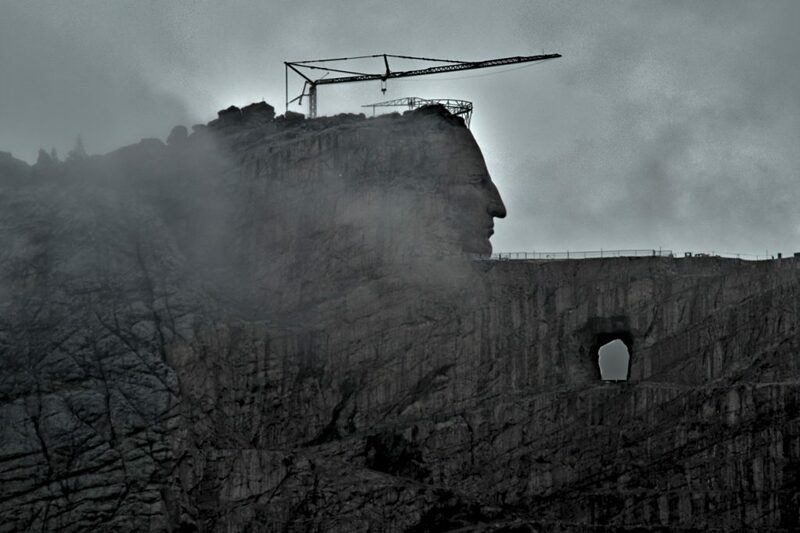 The Crazy Horse Memorial in South Dakota has been on my bucket list for a while. Crazy Horse was the war hero of the Native American Lakota tribe that defeated General Custer in the Battle of Little Big Horn. Mount Rushmore is a memorial of presidents of the United States, the government that appropriated (and continues to disrespect) the lands of the aboriginals of North America. The irony that the Crazy Horse Memorial lies between the Mount Rushmore US President’s Memorial and Custer, South Dakota was not lost on us. This phrase goes far beyond the literal meaning of urging his warriors to fight to the death. It is also very much about doing in life what gives oneself purpose. The deep truth is echoed in the Tao of Lao Tze and many other great philophers: if life has personal meaning, then there is no fear of death. Any day lived to its fullest, is a good day to die. The mountain carving, which may take another generation or two to complete, is only one reason to go. There is a school funded by donations and admissions as well as a fantastic cultural center and museum. There is a misconception that we have reached our destinations the moment we grow old, but it is not a well-accepted fact that we are still travelling towards those destinations, still beyond our reach even on the day we close our eyes for the final time.